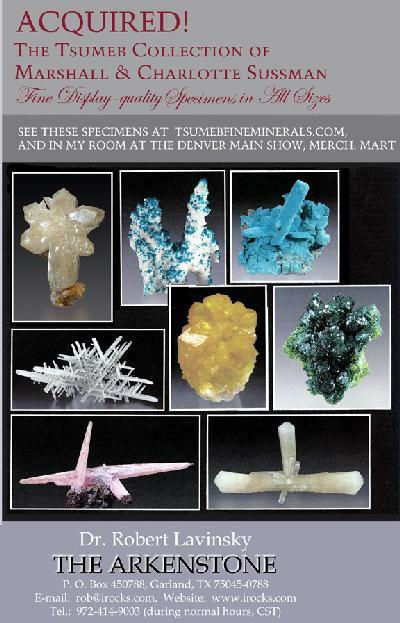 for the best in-house mineral auction venue on and off the internet. 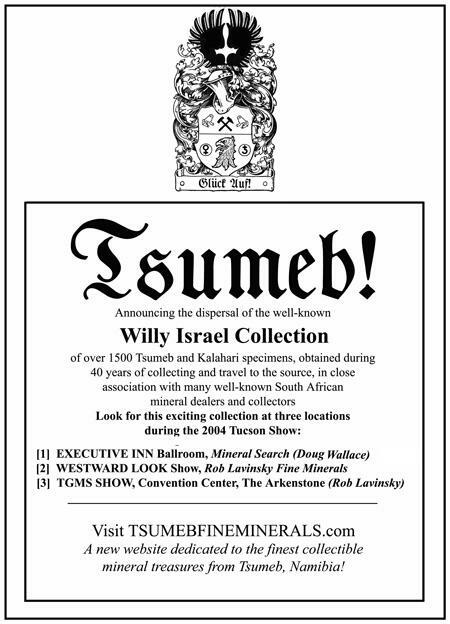 SEE BELOW FOR A FULL COPY OF THE PIVOTAL TSUMEB ISSUE OF MINERALOGICAL RECORD, ONLINE! SPECIMEN NOW AVAILABLE FOR SALE , for $12,500. COBALTIAN SMITHSONITE: Crystallized in a variety of pink to red colors - as fine a suite as ever I have seen in one place! I have literally HUNDREDS of specimens of all sizes and species, priced in all ranges, to present as time allows them to be added to this site.